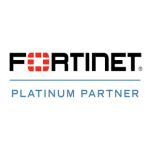 Fortinet delivers High Performance Network Security Solutions that help you protect your network, users and data from continually evolving threats. The most advanced threat intelligence from FortiGuard Labs delivers independently validated 97%+ breach detection. Integration and automation between prevention, detection and mitigation shrinks response times to minutes. Comprehensive coverage from an end-to-end security platform closes gaps and simplifies management.